I would have never thought of these simple sewing tips when I first started sewing; I’m ‘SEW’ excited to share these sewing tips with you! These 14 tips are divided up into three sections. 1) Save belt loops off old pants to use as ‘coat hangers’ for coats that need to be hung on a regular basis, childrens coats, sweat jackets, and even mittens so they dry out sooner! 2) Collect buttons off any old garment that you plan to throw into the trash-buttons can be used for many things: Children’s artwork, embellishments on other sewing projects, new garments, or replacement buttons on other clothing items. 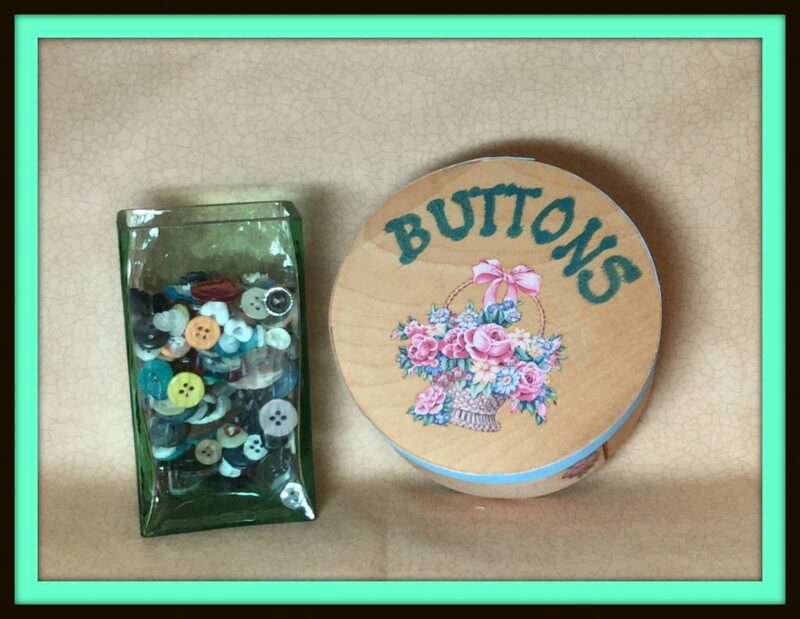 Read this post to get ideas on where to use buttons for your sewing projects. 3) Save your fabric scraps no matter how big or small the fabric pieces are. You can use the larger scraps for making a quilt or add as embellishment or an appliqué to a quilt. 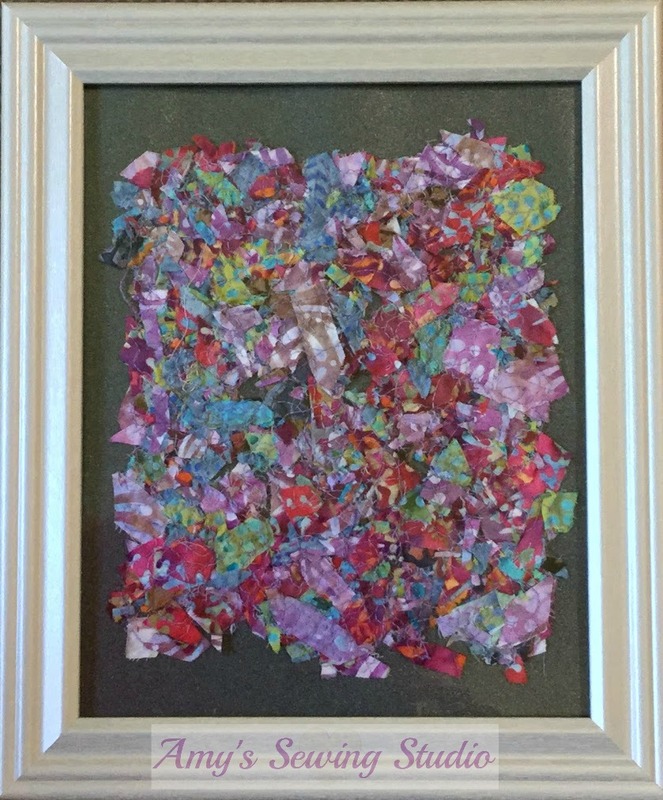 The smaller scraps can also be used to make unique fabric scrap pictures. Read my post on FABRIC SCRAPS. (Just keep in mind that you can use any kind of fabric to make a fabric scraps project). 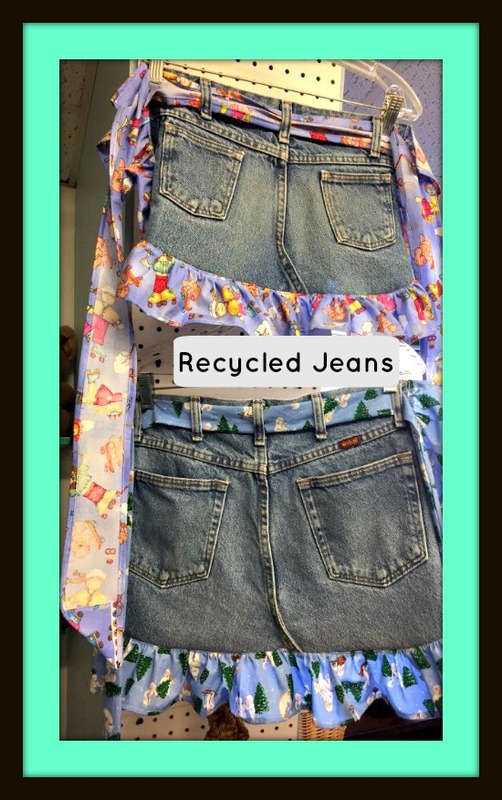 4) Jeans can be recycled into MANY different things! Use the hip/top part of the jeans to make into a nice sturdy bag. I have also seen jean skirts that use the top of an old pair of jeans, and then fabric added to the bottom to make a cute skirt. 5) Do you have any items with stretched out elastic? Depending on the item, you can take out the old elastic and replace with new elastic and you have a ‘good as new’ item! I recently replaced elastic in several pairs of my mother-in-law’s pants. 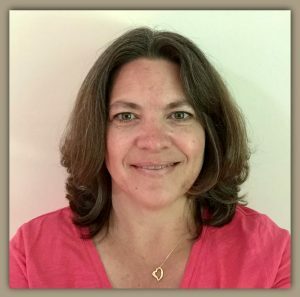 She bought them on QVC over a decade ago and won’t give up the pants for new ones. So, I took my seam ripper, ripped out the thread on the waistband and replaced the elastic. (rubber doesn’t stay stretchy forever) Who knew my mother-in-law would be SO HAPPY! 6) Store all your project notions in a bag, whether it be a ziplock bag or other type of small bag or plastic storage box. You can label the ziplock bag with your project name. If you use another bag or box, write your project name on a piece of paper and insert the paper into your bag. I like to use a full 8 X 11.5 piece of paper to also keep other notes about your started project. 7) Keep a sample piece of fabric from your project and staple it to an index card. 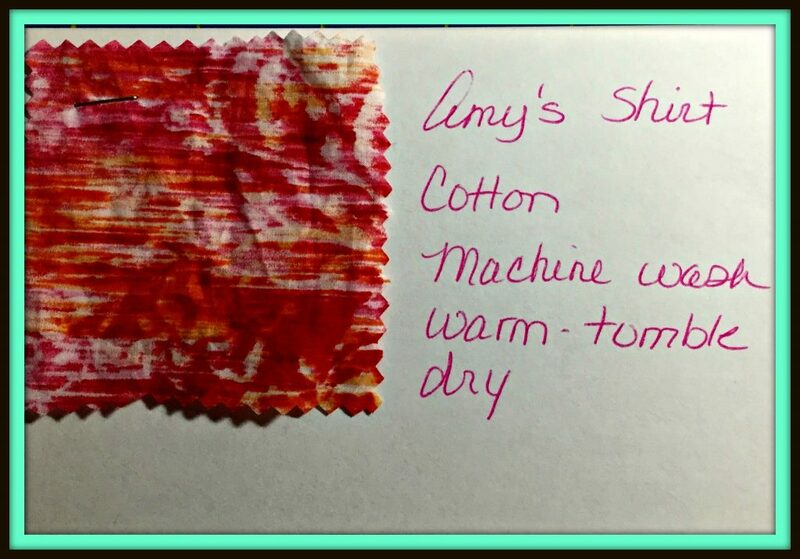 You can use this card/sample piece of fabric to shop for sewing notions to match your fabric, to purchase other accessories, and also keep washing instructions printed on the index card. If you know the name of the fabric, you could also write this information on the card as well. 8) If you have made any adjustments to pattern pieces, keep these notes in the pattern envelope. 9) Keep a list of your ongoing projects. Sometimes I like to have several projects ‘in the works’ at one time; and some of these projects may get put to the back burner. Keep that project list handy and try to not have too many unfinished projects. 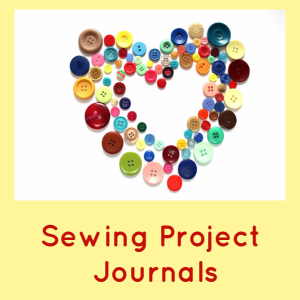 If you find yourself running out of space in your sewing room/storage, finish a project to get it out of your sewing room and to where it is meant to be. 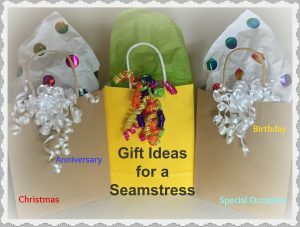 10) Make a list of the sewing notions you already have. This will save you TIME by not having to make an extra trip back to the store because you THOUGHT you had a certain item. This list will also help you not to buy ‘extra’ of something you may already have. 12) As you read thru the directions for project patterns, you will notice many projects have multiple steps. Read thru the steps and figure out if you can complete several sewing steps at one time. 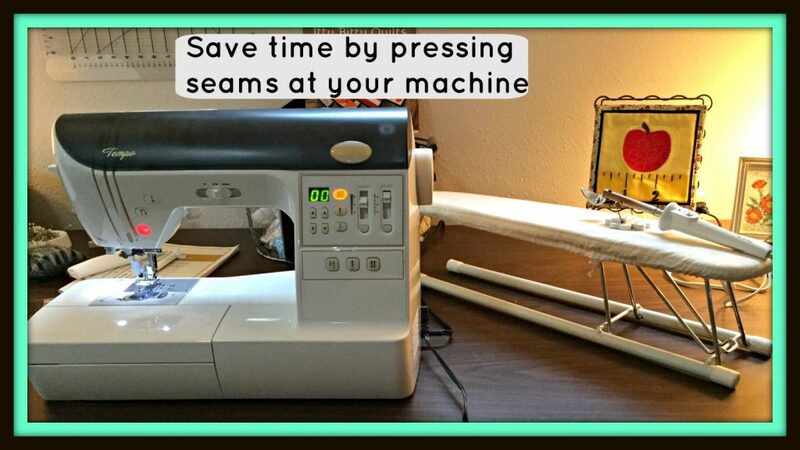 For example: There may be several things you can take to your machine to sew seams or baste even though a sewing task may not be the very next step in the directions. This saves you TIME by not having to get up and down after each completed seam. 13) You can set up a mini-iron next to your machine along with a mini ironing board; if you have the space. This will allow you to press a quick seam and move on to the next sewing step without having to get up and go to the ironing board. 14) Make your own pin magnet by gluing a magnet onto the end of a chopstick, dowel rod or yardstick. If pins are accidentally dropped on the floor, grab your homemade pin magnet and pick up your pins right away without having to get up and crawl on the floor to pick up pins! 15) Keep a tape roller to quickly and easily pick up loose threads on the floor OR for rolling across fabric after you’ve just ripped out a seam and have a bunch of little threads on your fabric! These Hand Tool Sewing Safety Tips are great tips to know for every beginner seamstress! Check out these great Sewing Machine Safety Tips!